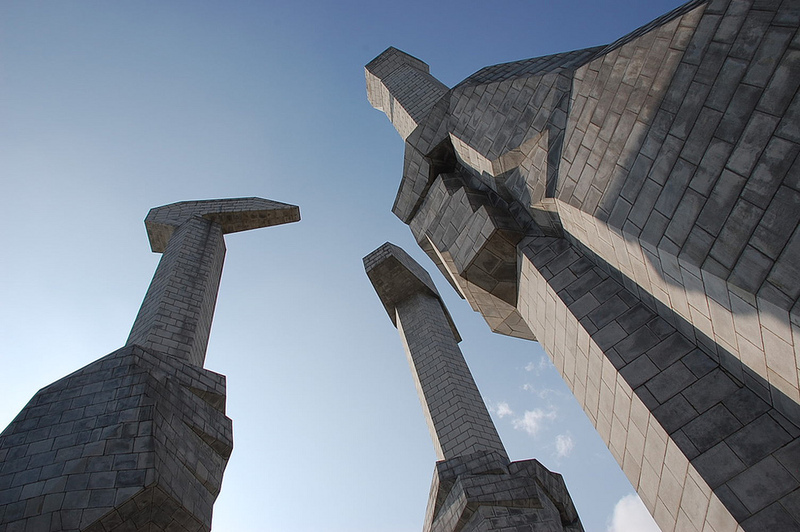 CONFLICT NEWS-- Over 70 officials have been executed in the Democratic People's Republic of Korea (DPRK) since 2011. Though young and with large footsteps to fill following the passing of his father, former leader Kim Jong-il, North Korea's infamous Kim Jong-un has been establishing his authority as Supreme Leader via numerous scare tactics, including executions of those in the public eye and of blood relation to him. Perhaps the most shocking execution occurred in December 2013 when news broke of Jang Song Thaek's death, who was Kim Jong-un's uncle and considered to be the second-in-command of the DPRK at the time -- and was also supposedly plotting his nephew's demise. Reports soon followed suggesting the extent to which Kim Jong-un is willing to go to in order to maintain his power, as his uncle was allegedly fed to "120 hungry dogs" after being "stripped naked" and "thrown into a cage" -- but these were found to be mostly false. Then there was the alleged April 2015 execution of Defense Minister Hyong Yong-choi, who reportedly fell asleep and did not follow instructions, which "earned" him his death by a round of anti-aircraft guns. His fate was quite similar to the Deputy Defense Minister, who was reportedly executed in 2012 by mortar rounds at close range. A vice minister was said to have disagreed on a roof design for a Pyongyang building and was subsequently executed simply for that. But internal executions only produce so much fear in the outside world, and Kim Jong-un needs all the fear he can summon to distract from his young age and questionable ruling abilities. Over the past few years Kim Jong-un has tested missiles, used the threat of nuclear weapons against South Korea, the United States, and its allies, and most recently launched a satellite-bearing rocket into space as a direct retaliation to international sanctions placed on the DPRK. Pyongyang then celebrated its extra-terrestrial expansion of technology with a fireworks display while the world buzzed and speculated about what this new space race could lead to, which is exactly what the "Young General" was counting on. Just as DPRK media is carefully curated, Kim Jong-un was exercising his authority over international media with his rocket launching at an optimum time for mass coverage. Almost immediately, members of the United Nations Security Council convened an emergency meeting to discuss the implications of such an action, while NATO, the EU, South Korea, and Japan released numerous statements denouncing the DPRK and the move as a threat to regional stability. In particular, the United States' President Obama and South Korea's President Park Geun-hy had a lengthy phone call discussing fresh sanctions to be placed upon the already-sanctioned country. It's all for one commonly agreed upon reason: space launch systems are considered dual-use technologies, which can also be put to use to deliver nuclear weapons to a distant target. Furthermore, the possibility of North Korea militarizing space on its own accord doesn't bring peace of mind either. The DPRK is believed to have 10-15 nuclear weapons in its growing arsenal; meanwhile, Seoul's intelligence and news agencies perpetually monitor its borders and intelligence as its volatile northern neighbor grows in its military strength. Presently, South Korea and the United States are in talks to deploy a missile-intercepting defense system called the "Terminal High Altitude Area Defense" (THAAD), which was in progress before the news broke but has been accelerated following the launch, regardless of whether or not the rocket was a "failure." Furthermore, another DPRK general has been executed as per Kim Jong-un's orders, signaling that even a space expansion isn't enough to keep him from eliminating his threats. Below is a timeline of the latest developments on the Korean Peninsula from the past five days, beginning with the rocket launch on February 7th. UPDATE: Yonhap are reporting that Park Geun-hye, President of South Korea has convened an emergency meeting. BREAKING: Unconfirmed reports that North Korean rocket passed through Japanese airspace, no information on Japanese response. UPDATE: @YonhapNews report that it appears that the first stage of the North Korean rocket has separated and landed in the ocean. MORE: North Korea will also freeze all South Korean assets at the joint industrial park.